Shopping for Guardians of the Galaxy Mugs? The whimsical tree known as Groot can say "I am mug!" next time someone asks! 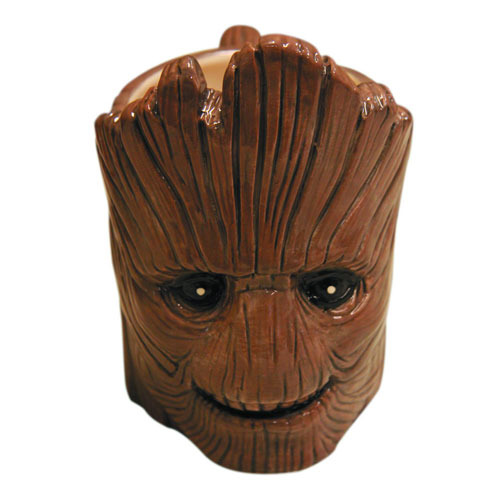 This Guardians of the Galaxy Smiling Groot Molded Mug features the expertly crafted likeness of actor Vin Diesel's heroic tree-creature. Hand wash only. Not dishwasher safe. Do not microwave. Measures approximately 6 1/2-inches. Ages 14 and up.